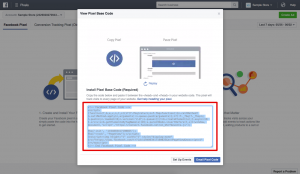 Facebook Pixel is a tool using which you can measure the effectiveness of your ads. It allows you to create different audiences based on the actions the visitors of your store are taking. In the Facebook Pixel section, paste your Pixel ID and save the changes.